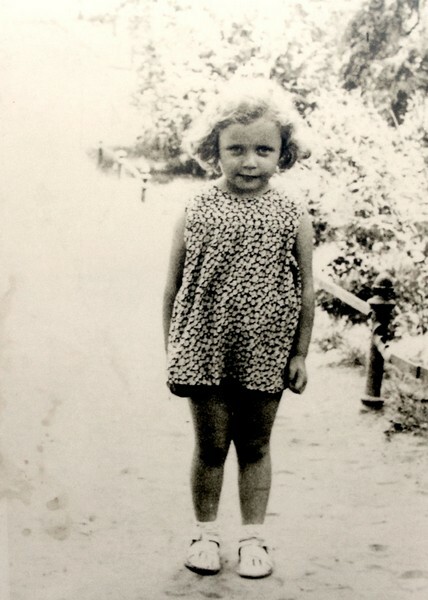 Janina (Yanina, Halina, Nina) Ecker (family name Leiman (Leimann)) born September 5, 1932 in Kraków, daughter of Sara (family name Tempelhof) and Dawid. 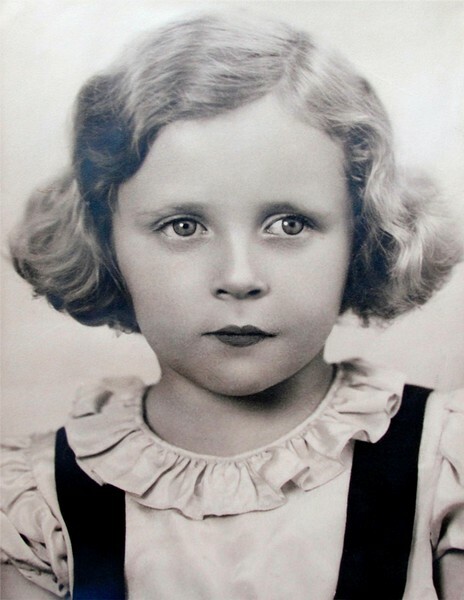 As a child she went into hiding using fake Aryan documents. 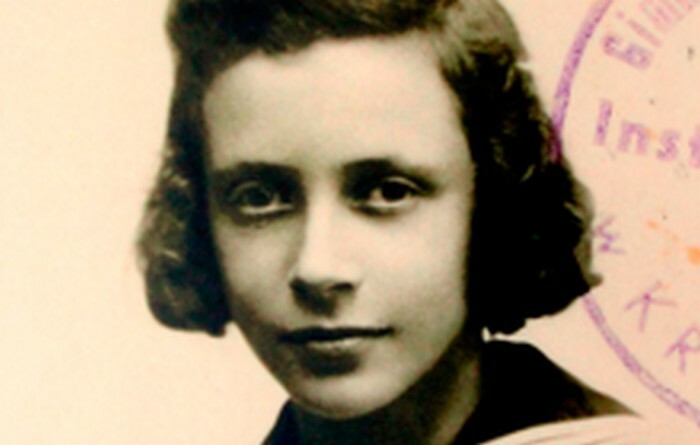 After WWII she became an accountant with the national airline of Israel. The Leiman family lived on Grzegórzecka Street in Kraków. David Leiman ran a jewelery shop on nearby Dietla Street and owned a tenement house on Słowacki Avenue which he rented out. 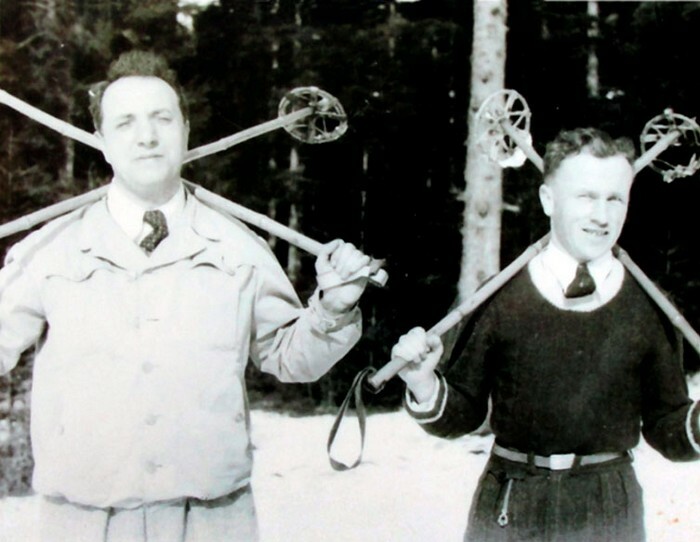 Although both active members of the Zionist movement, they spoke Polish at home and David visited their local synagogue only during holidays. 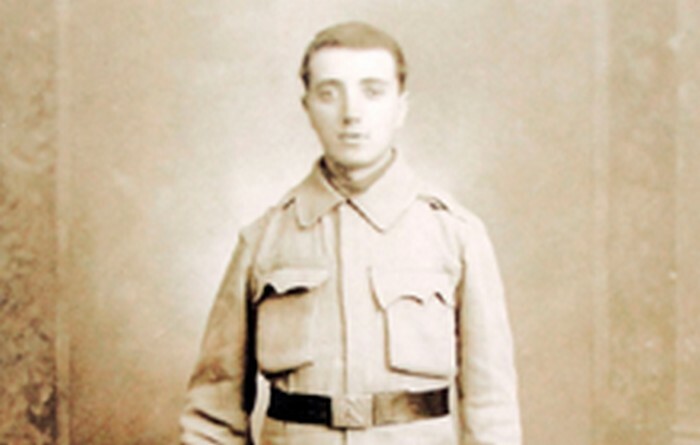 In 1934, while in Palestine, he bought a plot considering emigration. 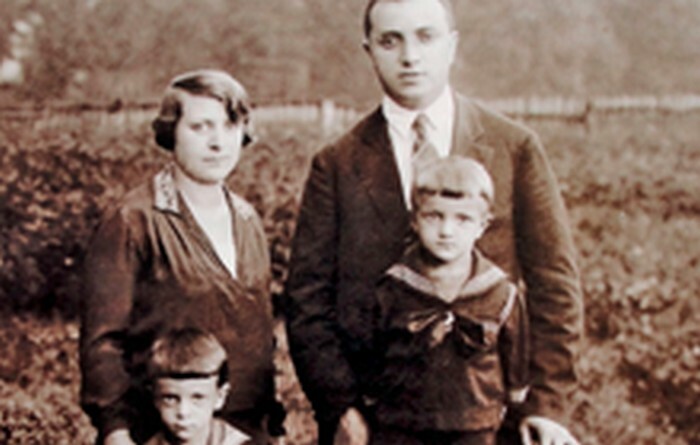 A few days after WWII broke out, her father and oldest brother Ryszard, went to the east to join the Polish Army. 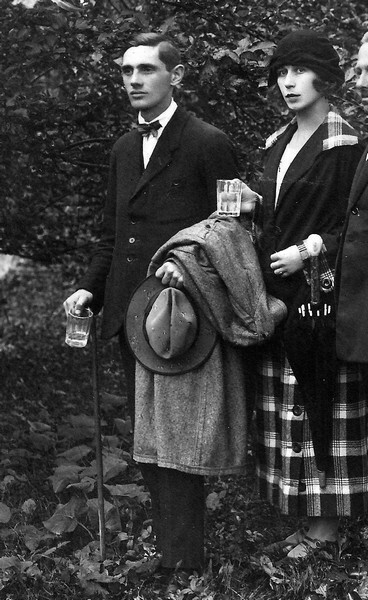 Janina, her other brother Aleksander and her mother Sara, stayed in Kraków. 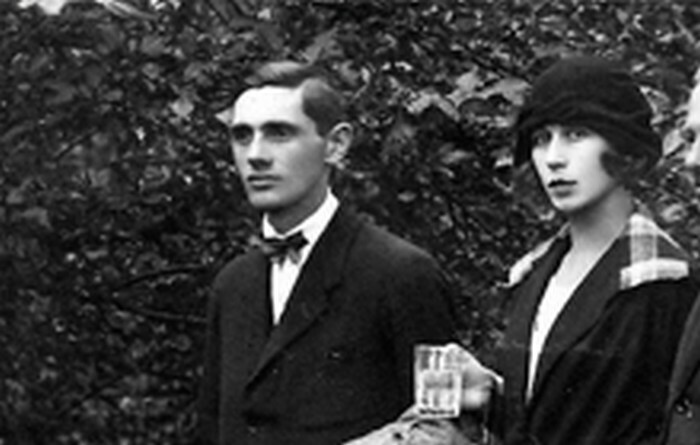 The family business was soon taken over by the Germans and their flat was given to a Volksdeutsch prostitute with a child, leaving the Leiman family with just one room. 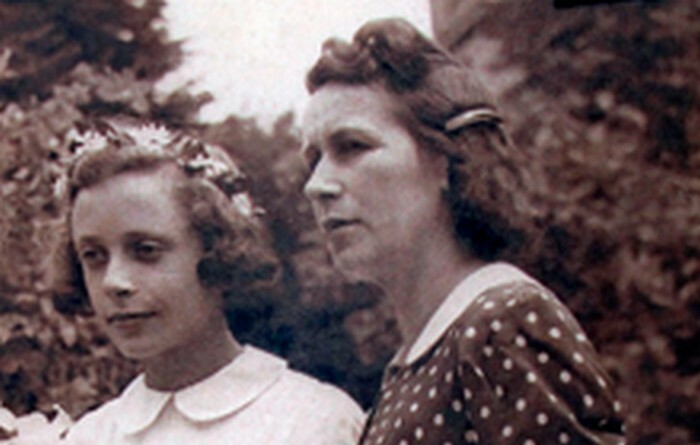 Janina’s mother Sara was forced to work as a servant for the Volksdeutsch woman but eventually fled with the children and went to stay with her sister, Rosa Grun, on Paulińska street. Sara started to sell family belongins to provide for living expenses. 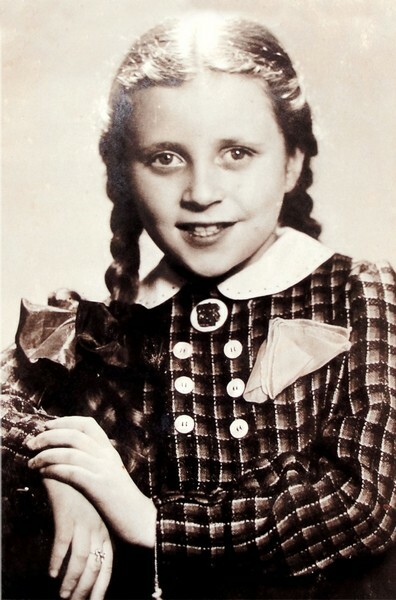 In December 1939 the Nazis decided Jewish children shouldn’t be allowed to study and Janina was forced to quit the Hebrew Secondary School . She and her two cousins instead had private lessons. In June 1940, Janina’s father wrote the family a letter from Lviv telling them that both he and Ryszard had been arrested. Since Sarah did not have a job, at the end of 1940, the family was forced out of Kraków and moved to Gdów, about 30 miles south of the city. On 1 August 1942 the Nazis decreed that all Jews from towns in the Wieliczka district – Niepołomice, Dobczyce, Bieżanów, Gdów and others – should move to Wieliczka. The Leiman family was forced to share a room with four other families. Worried about the safety of her daughter, Sara asked her aquaintance from Gdów, Kazimiera Gomółka, to take Janina back to Kraków. Janina was supposed to find shelter at Mrs Maus’ apartment , but the woman, despite previous promises, refused. 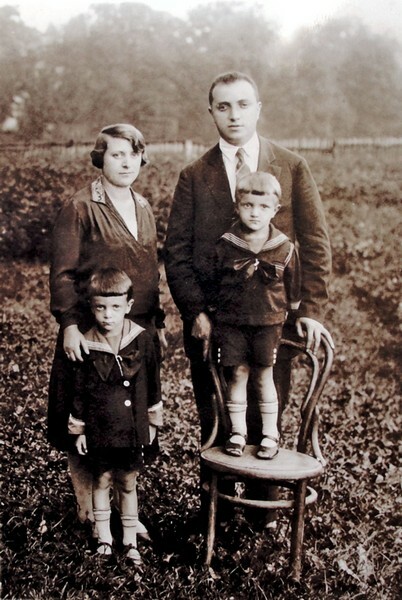 Then, on 27 August 1942, The Leiman’s first tenants from their house of Słowackiego Avenue in Kraków arrived in Wieliczka to take some of the family’s memorabilia for safekeeping. They could not have expected that they would be asked to take care of 10-year-old Janina Leiman. That day all the Jews were rounded up in the Market Square and forced to walk to Łąki Bogucickie close to Wieliczka railway station (today Wieliczka Park). After several hours of waiting, they were put on trains and taken off to forced labour or concentration camps. 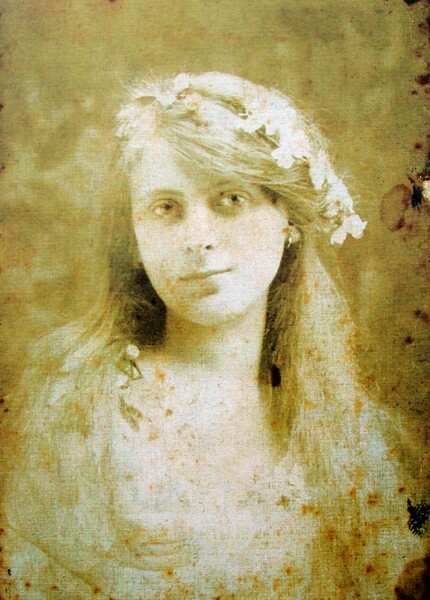 It was in the chaos that Sara spotted the former tenants, Mr and Mrs Latawiec and thrust Janina into their hands saying: “Save my child, she will be your joy.” The childless couple was extremely surprised but they took the girl to their one-room apartment on Zyblikiewicza Street (their former flat had been taken over by the Germans). To avoid suspision the Latawiecs told their neighbours and the man they shared their flat with that Janina was their niece whose mother had died and father was in a POW camp . The situation was difficult for both parties. Little Janina heard Latawiec’s talk at night about their frightful situation. After a week, Sara Leiman wrote a letter from the camp she had been sent to in Płaszów (AL Plaszow) asking them to visit. The Latawiecs had decided to give the child back but during their meeting in the work camp, Sara managed to persuade them to keep Janina for another two weeks, telling Janina to be obedient because the couple could save her life. Over time the Latawiecs began to love Janina. They called her Nina. Józefa Latawiec was a nurse, Tadeusz worked at the post office. 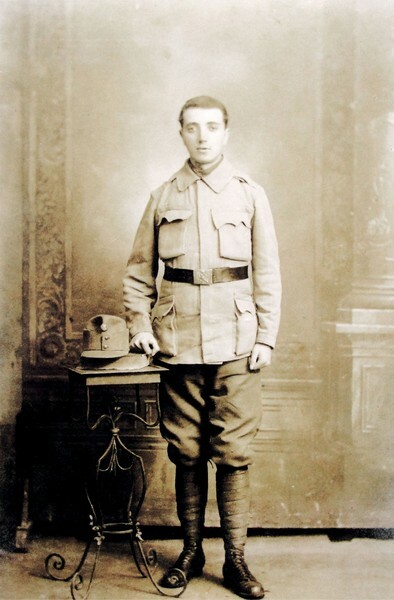 He was also a soldier of the Home Army (AK). He came to the conclusion that since he kept a gun at home, he might as well keep a Jewish child, too. For a year and a half, every Friday, he went to see Sara at the camp fence. One day he asked her for written consent to let them adopt Janina in case Sara and her husband died. She agreed. 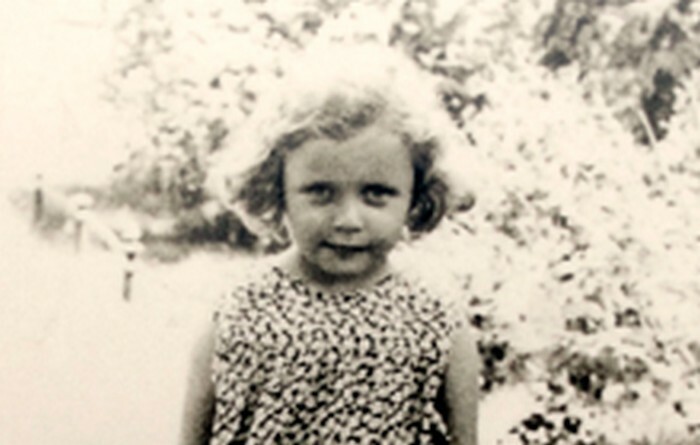 Around Easter of 1943, the neighbors started to suspect that Janina was Jewish. The Latawiecs did everything possible to keep her away from home. 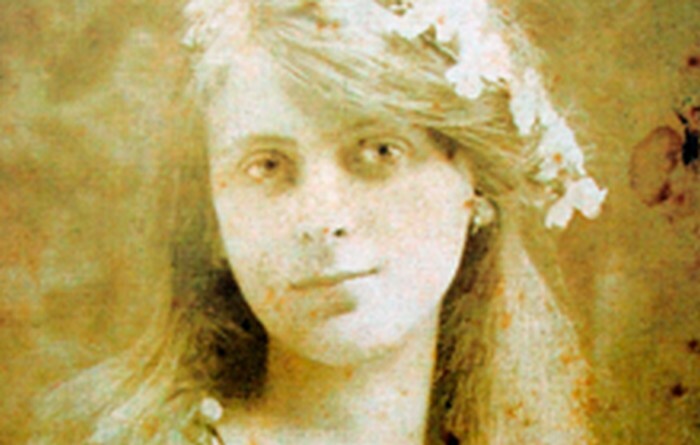 For two months every morning she visited Krakow’s churches with her Polish “mother”, in the afternoon Rakowicki cemetery with her Polish “father”. But the neighbors, worried there that the Nazis would discover there was a Jewish girl in the building and refused to agree to Janina staying at home even at night. 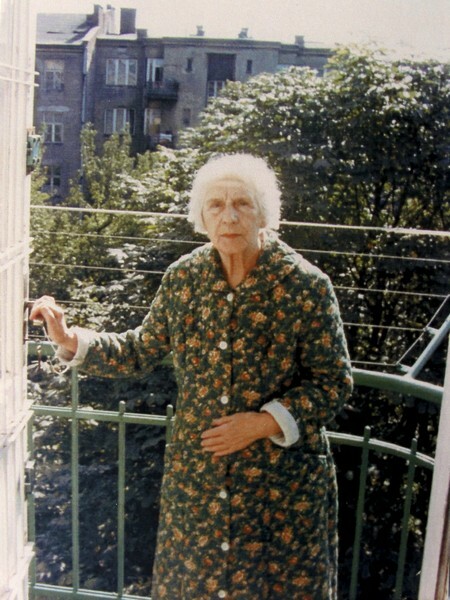 For six weeks Nina lived in a tool cell on the balcony of Tadeusz Latawiec’s German superior who was away on vacation and had left Tadeusz the keys so he could water his flowers. 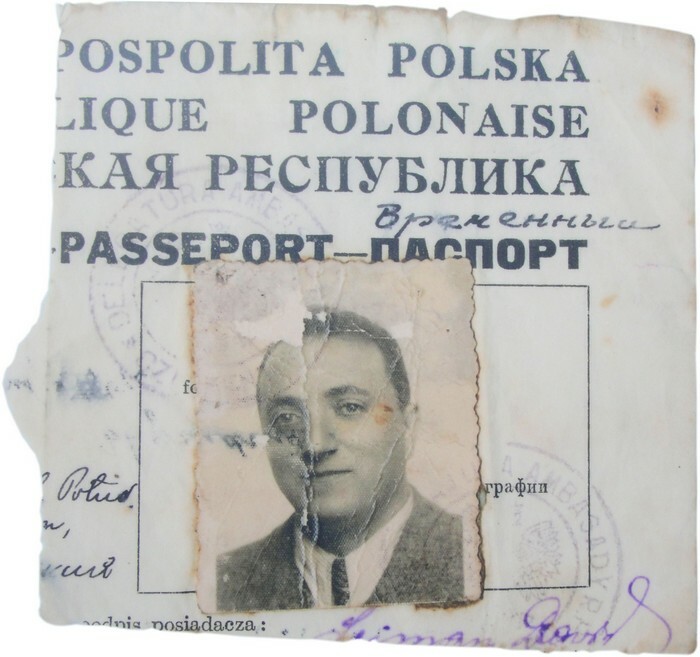 To hide her true identity, Tadeusz Latawiec got hold of a birth certificate of a girl called Janina Baran who was suffering from polio. They cut Janina’s hair, made her wear glasses and gave her crutches made of old brooms. Józefa Latawiec and Janina moved to Borek Falecki. But that didn’t stop a Polish policeman working for the Germans finding out the truth and having to be birded after he put a gun to her head. The Latawiecs did everything possible to save Janina’s life. The Central Welfare Council provided Józefa with a contact to a dormintory run by the Felician Sisters in the Convent of the Benedictines in Staniątki. On the way to the dormitory Józefa baptized Janina in the o.o. Misjonarzy church on Stradomska Street. 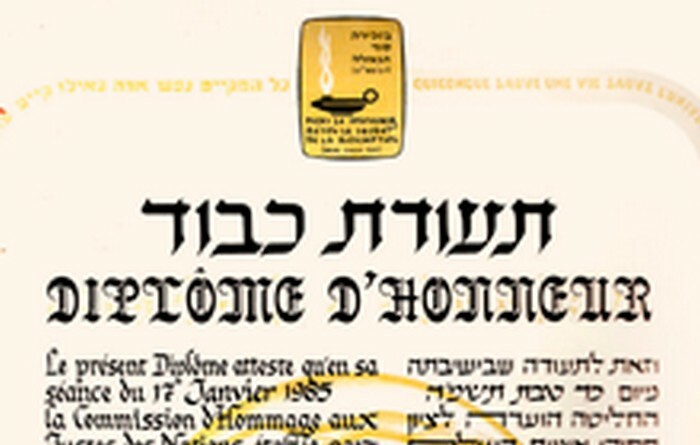 If it had not been for a Janina’s request when already in the dormiotory to have a “real” baptisim, the Felician Sisters probably wouldn not have discovered that she was Jewish. 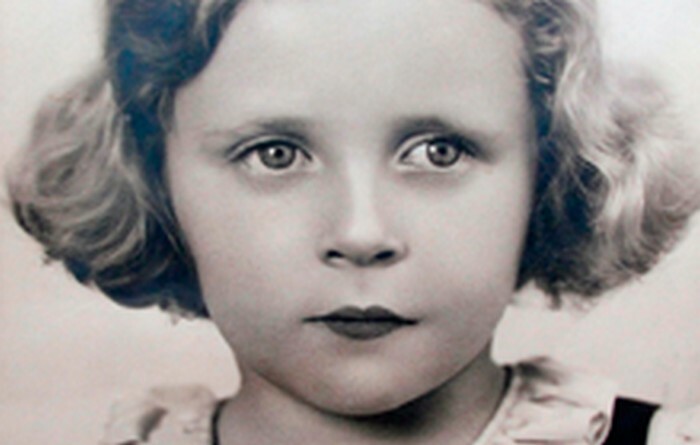 On 24 April 1944 Janina was baptized again and took her first communion. In Staniątki Janina helped the nuns take care of ill people from an old people’s nursing home as well as orphans brought to Staniątki from Warsaw after the Warsaw Uprising. 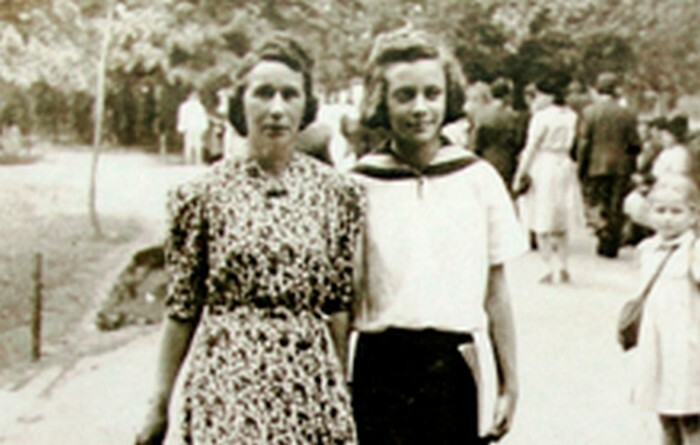 In December 1944 the Felician Sisters got their property in Kraków back and Janina returned with them to Kraków. On 19 January 1945 Tadeusz Latawiec settled all bills for Janina’s tuition and maintenance and took her back home on Slowackiego Avenue. 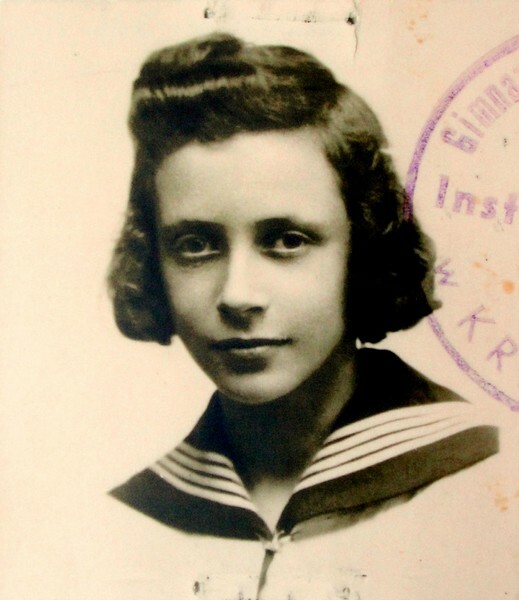 Six months later her real mother Sara Leiman returned, having survived three concentration camps in Plaszów, Skarżysko- Kamienna and Hasag–Leipzing, as well as a death march. Both Sara and Józefa wanted to be Janina’s mothers. Sara moved into Latawiec’s appartment and took a job in the kitchen in the Jewish Committee in Krakow. She allowed her daughter to be a devout Christian and attend a Catholic school on 16 Pędzichów Street. 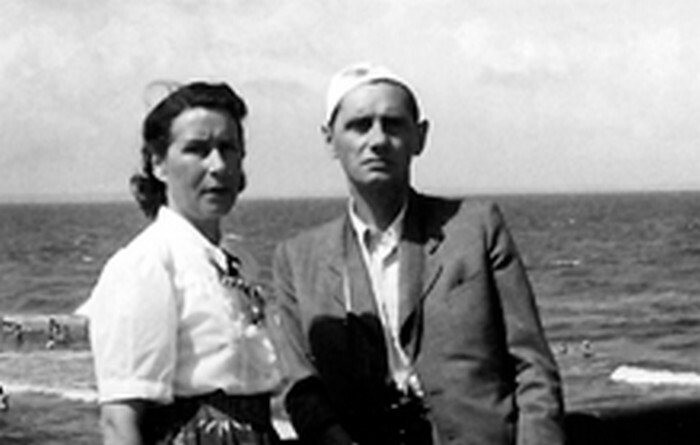 In December 1946 Dawid and Ryszard returned after six years in Siberia and Uzbekistan. The Leimans lived in the same building one floor below the Latawiecs. Janina stayed with the Latawiecs since she did not want to go back to the Jews. Janina’s younger brother, Aleksander didn’t survive. 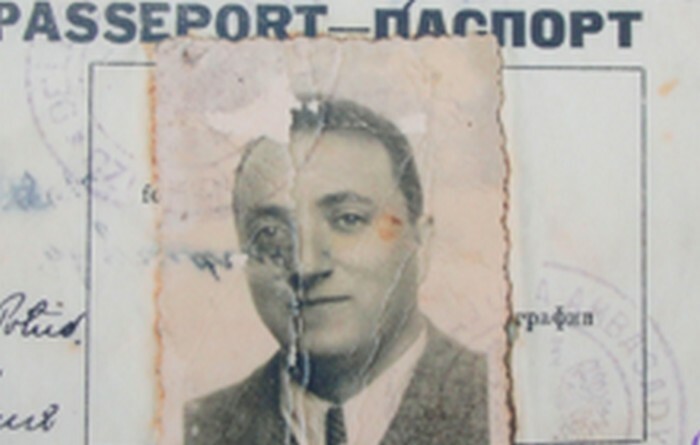 He was arrested in Kielce and transported to the Auschwitz death camp where he was murdered on 22 February 1943. 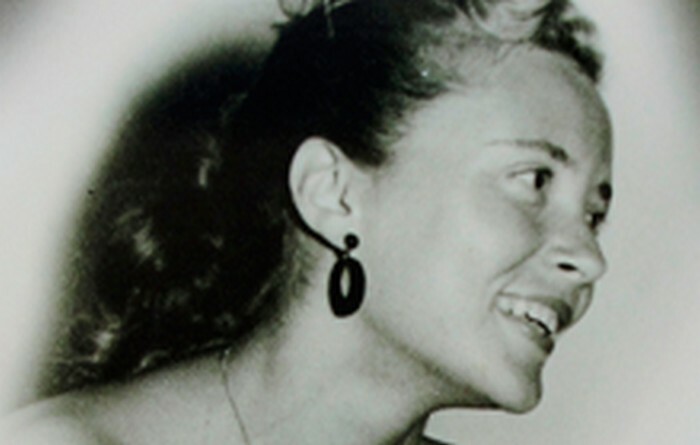 In 1949 the Leimans emigrated to Israel, taking Nina with them. She later married Emanuel Ecker, a soldier from Lviv who served in the Polish II Corps under the command of general Władysław Anders. For many years she worked in the Israeli airline El Al. 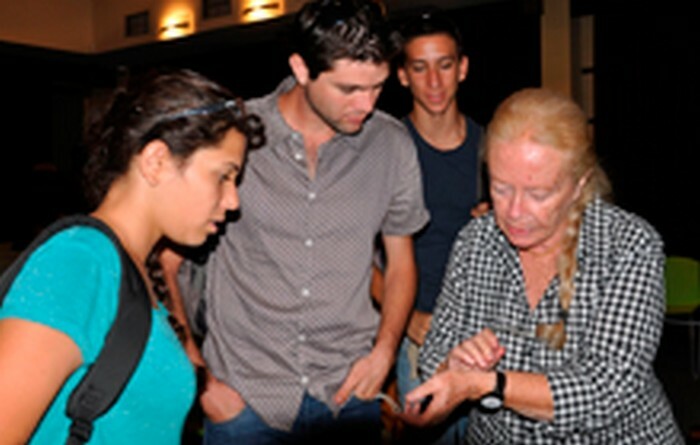 After retirement, she worked as a volunteer at the Diaspora Museum, a branch of the Yad Vashem Institute in Tel Aviv and helped the elderly and wounded in Israel’s armed conflicts. In 1979, 30 years after leaving she came back to Poland to visit her Polish “mother”. Her Polish “father”, Tadeusz, was already dead but she had not been able to come earlier due to the lack of diplomatic relations between PRL and Israel. 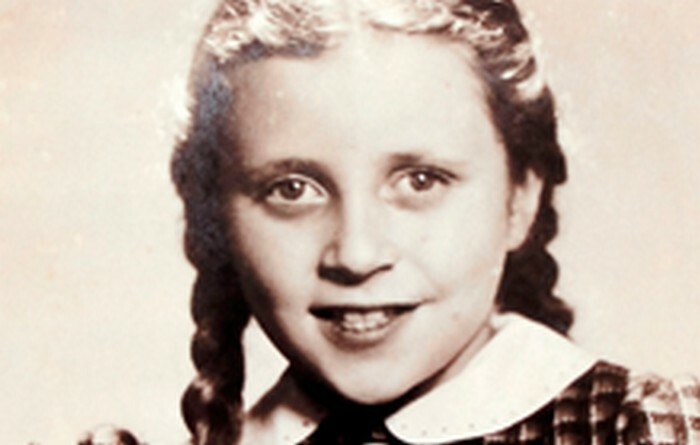 For several years now, Janina Ecker has accompanied Jewish groups to Poland telling them about the heroism of her Polish “parents”. 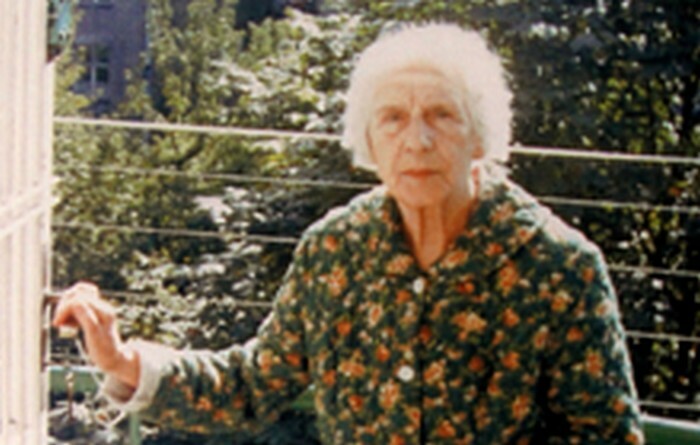 On 14 November 1985 her efforts to award the Latawiecs with the Righteous Among the Nations were successful. But the communist regime did not let Józefa’s leave Poland and visit Israel. 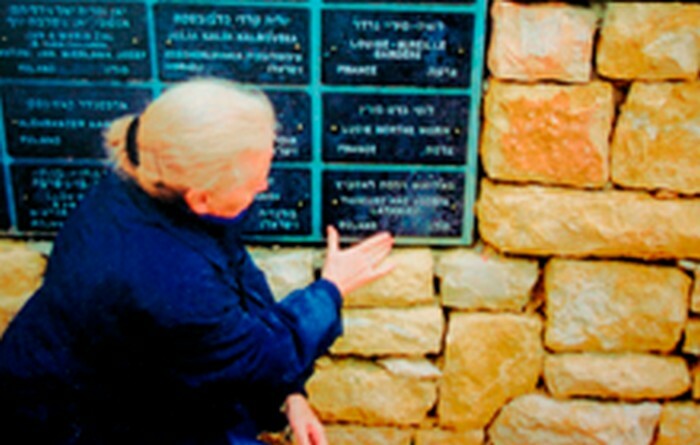 Janina planted the tree in the Avenue of the Righteous in Yad Vashem in Jerusalem herself on behalf of her Polish “parents”. 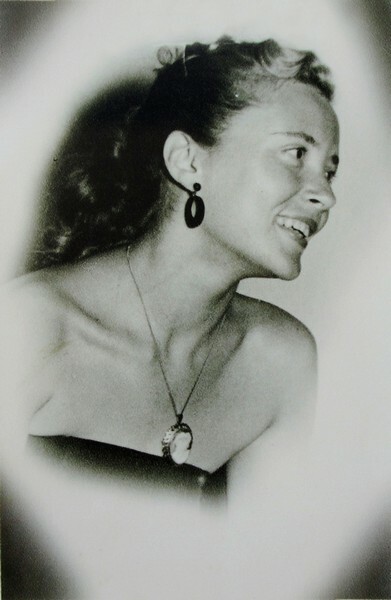 Janina Ecker was twice married. She has three daughters, six grandchildren and a great granddaughter. Dawid Leiman, Janina’s father. Kraków c. 1915. Sara Leiman, Janina’s mother. Kraków c. 1918. Janina’s parents with their sons: Roman and Olek. Kraków c. 1928. 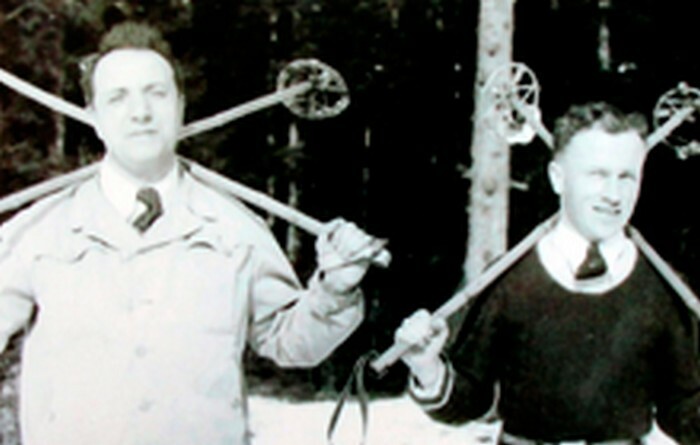 Dawid Leiman with his friend. C. 1938. 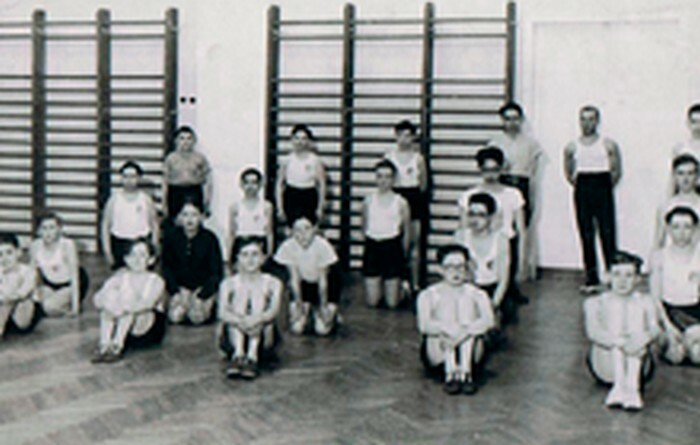 Olek Leiman (in the middle knelt) at Hebrew Gymnasium. Kraków in the 1930s. Janina (then Halina). Kraków 1935. Janina (then Halina). Kraków 1936. Janina (then Halina). Kraków 1938. 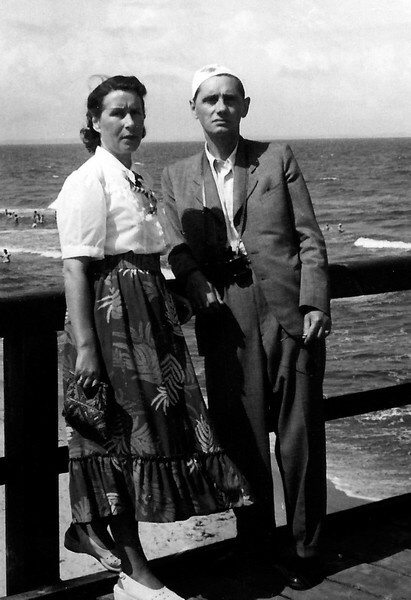 Józefa and Tadeusz Latawiec, Janina’s adopted Polish parents. Kraków c. 1925. 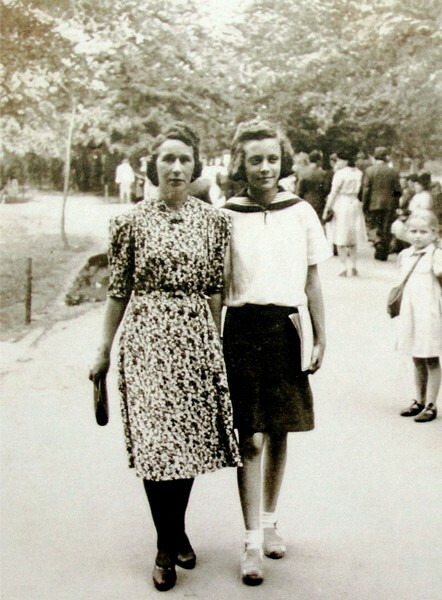 Janina (then Janina Baran) with her Polish mother. First communion. Staniątki 1944. 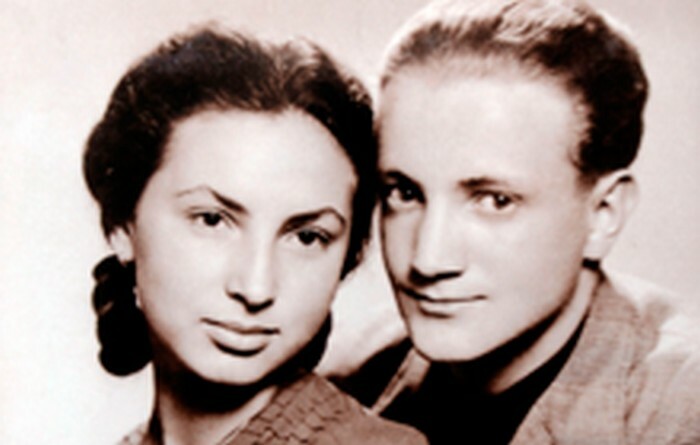 Józefa and Tadeusz Latawiec. 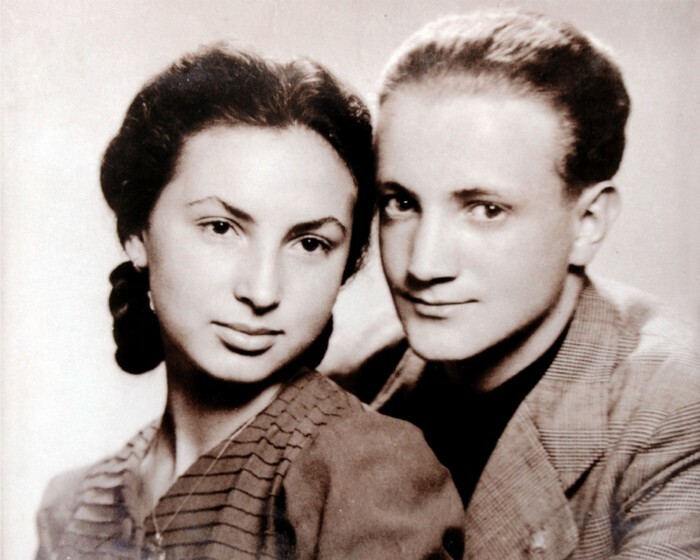 Janina’s adopted Polish parents. 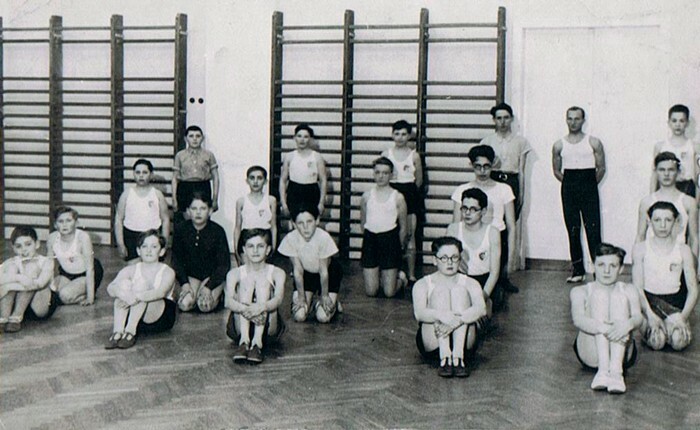 Międzyzdroje 1949. Janina when a student at Instytut Maryjny on 16 Pędzichów street. Kraków 1945. 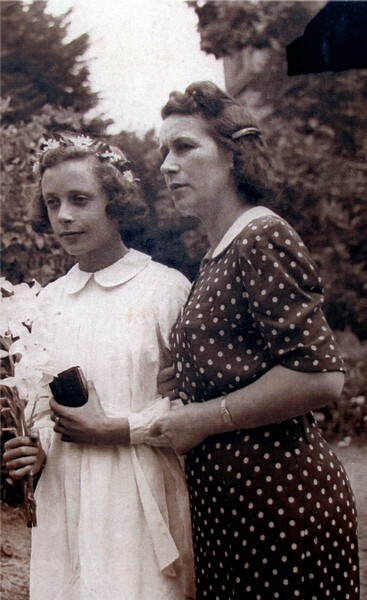 Janina with Józefa, her Polish mother. Kraków 1945. Yanina Ecker. 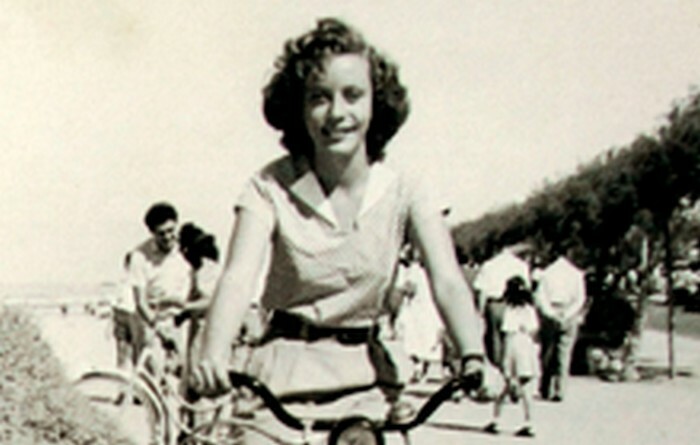 Tel Aviv in the 1950s. Ryszard Leiman, Janina’s brother. 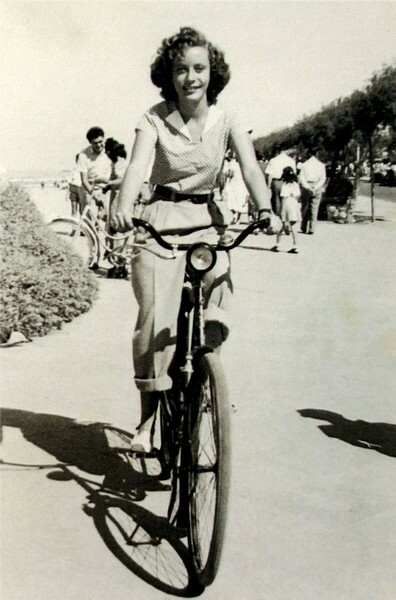 Tel Aviv in the 1950s. 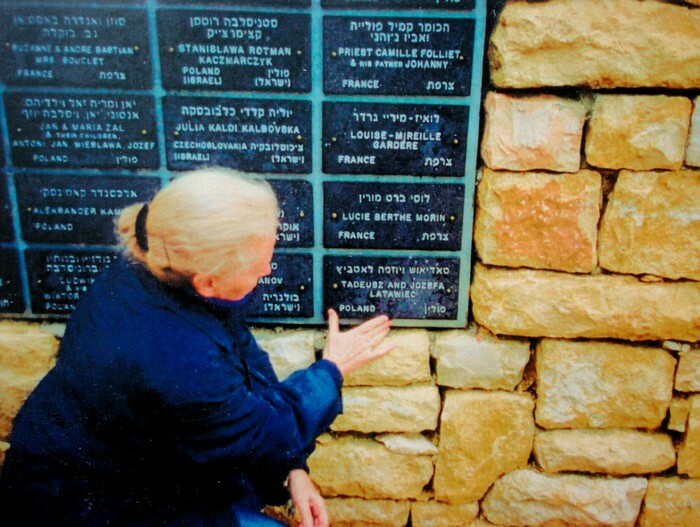 Yanina Ecker in the Righteous Among Nations Avenue in Yad Vashem pointing to the names of her Polish parents. 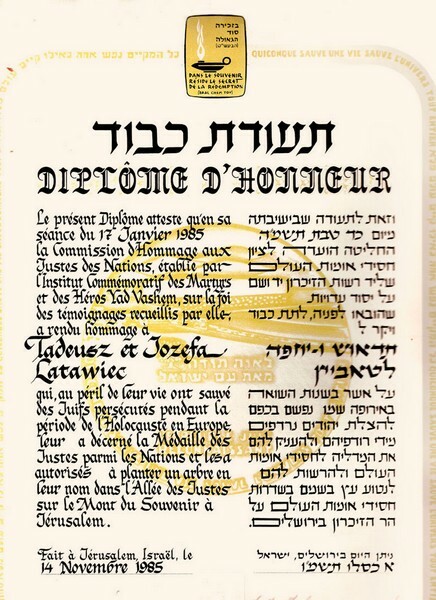 Righteous Among Nations Certificate for Józefa and Tadeusz Latawiec. Józefa Latawiec. Kraków in the 1980s. 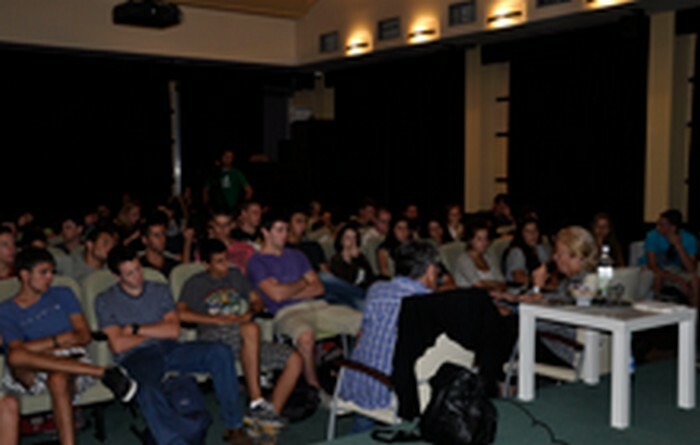 Yanina Ecker during her lecture at Schindler’s Factory. Kraków, 2012.